Thank you for visiting our website. 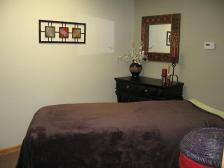 We are Nationally Certified Licensed Massage Therapists. At Massage Cool la Vie we have a relaxing and calming atmosphere. From the moment you step into our lobby until you step out of the door you will feel relaxed and calm. We have a nice newly remodeled shop in Burlington IA. It is in a prime location right off of the intersection of Roosevelt Ave. and Division Street at 3104 Flint Hills Drive. We specialize in many types of massages including Swedish Massage, Deep Tissue Massage, Bamboo Massage, Hot Stone Massage, Pregnancy / Infant Massage, and Lymphatic Drainage. Reiki, an energy work is also offered. Reflexology can be incorporated within the massage session. 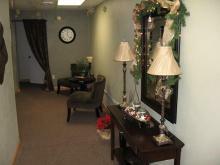 Book an appointment and let your aches and pains melt away. Peace fills your mind and body and you are transported into a state of Utopia.